The New York Times published an editorial on 6 January 2016 titled “Mr. 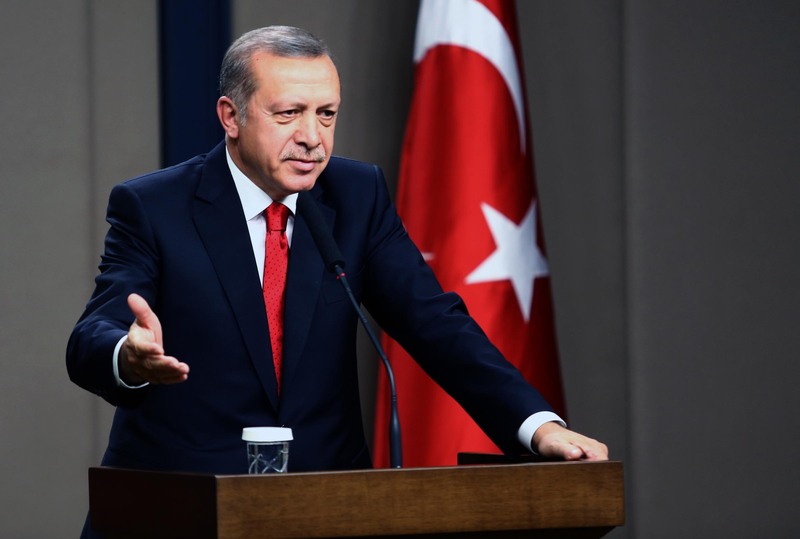 Erdogan Crosses Yet Another Line” in which it was claimed that Turkish President Recep Tayyip Erdogan started a war against Kurds. The editorial also said that the Peoples’ Democratic Party (HDP) “champions Kurdish political rights and is not involved in the fighting”. The Kurdistan Communities Union (KCK), an umbrella organization entailing the PKK, broke a two-year ceasefire with the Turkish government on 11 July 2015. The next day, the PKK raided a civilian bus, killed one person and wounded two. The PKK also set three trailer trucks on fire. Furthermore, on 15 July 2015, Bese Hozat, the co-chair of the KCK Executive Council, wrote on PKK’s media outlet Ozgur Gundem that the time has come for a "revolutionary public war" against Turkish forces. The Turkish state did not respond to attacks by the PKK until after a bombing claimed by the DAESH terrorist organization in the town of Suruc, near Turkey’s border with Syria, on 20 July 2015. After the bombing, Turkish security forces and civilians were killed by the PKK. Turkey launched a cross-border campaign against both DAESH and the PKK. The PKK is a Marxist-Leninist insurgency operating mainly in Turkey’s Kurdish-dominated southeastern regions and is recognized as a terrorist organization by the US, NATO and the EU. The US stated that it supports Turkey’s fight against the terrorist organization on 26 July 2015.3The New York Times editorial avoids presenting the entire picture in their article and describes Turkey’s fight against the PKK as “Erdogan’s War”. However, the editorial ignores the fact that Mr Erdogan, after 30 years of war, started the negotiations with Abdullah Ocalan, the jailed head of the PKK, via mediators. On 21 March 2013, after months of negotiations with the Turkish government, a letter written by Abdullah Ocalan was read out both in Turkish and Kurdish during Nowruz celebrations in the mainly Kurdish city of Diyarbakir. The letter called for a ceasefire that included the disarmament and withdrawal of the PKK from Turkish soil, as well as an end to the armed insurgency. On 3 April 2013, the government constituted a group of intellectuals called the Wise People Committee in order to lead the Resolution Process and help shape public opinion. A number of reforms to improve the life of the Kurdish community were realized throughout the process. On 11 July 2015, however, the PKK unilaterally broke the ceasefire. On 25 July 2015, HDP deputy Faysal Sariyildiz was recorded while he was transferring weapons to PKK militants. On 27 July 2015, the HDP deputy Abdullah Zeydan said “the PKK is a peace movement to turn Turkey and the Middle East into a garden of roses. If the PKK didn’t want to turn Turkey into rose garden, it would kill you at one shot for it bears such strength”. On 23 August 2015, a truck loaded with bombs was found to belong to a HDP-controlled municipality.